FRANCIS C. MUSSO, CPA, MPA, P.C. 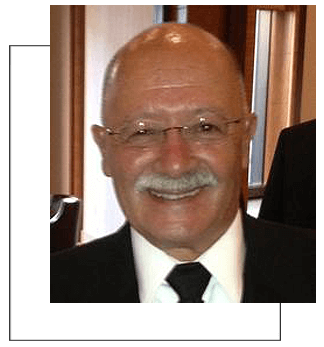 Francis C. Musso, CPA, MPA, CFF has more than 45 years of experience in a variety of consulting and senior management positions, leading and advising companies in maximizing their efforts, profits and satisfaction to owners. Francis C. Musso, CPA, CFF leads a CPA firm that synthesizes determination, experience and expertise. His integrity and dedication reflect a strong personal belief upon which his clients have come to rely. EXPERTISE – Distinguished by experience, expertise and thorough familiarity with the practical intricacies in the firm’s practice areas. DRIVEN – Clients know that we are committed to finding creative solutions to meet each client’s specific needs in a timely fashion. DISCRETION – An important factor in client satisfaction is our unwavering commitment to discretion and privacy. SERVICE – We provide the same high level of expertise and professionalism as larger firms, but with the accessibility and friendly, personal service of a boutique firm. Clients appreciate having their calls returned promptly and their questions answered timely. HONESTY – Through over 45 years of accounting and consulting service application we have gained a reputation for integrity, transparency and honesty that clients know and trust. © Copyright 2018 – FRANCIS C. MUSSO, CPA, MPA, P.C.